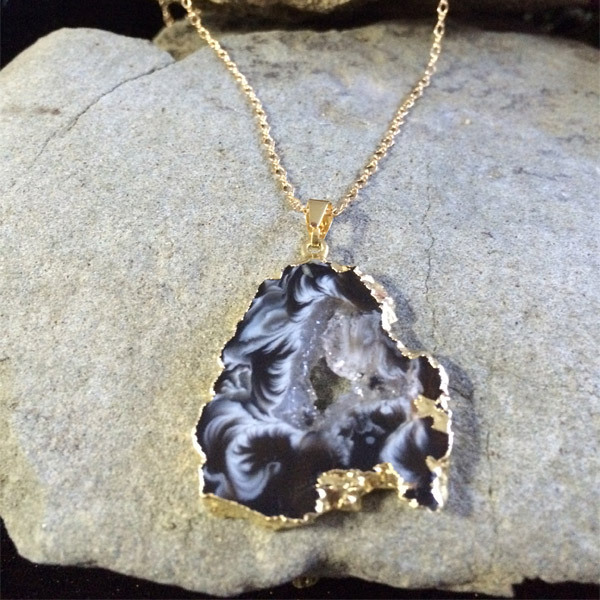 Agate gemstone pendant with gold fill chain and clasp. 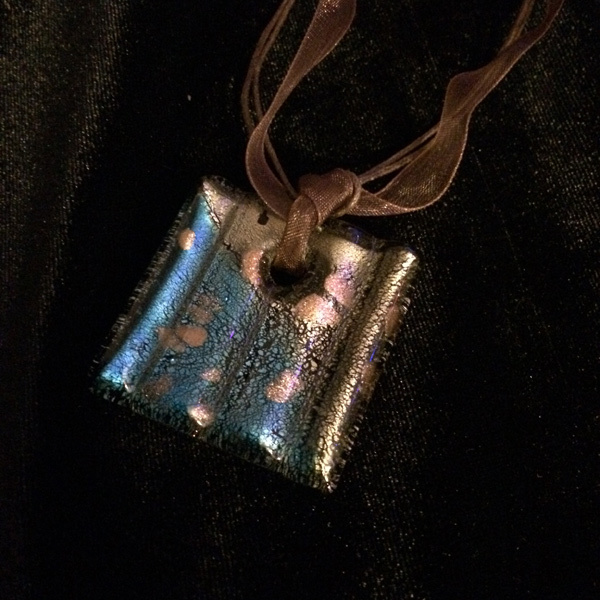 (Chain length 17.7 in., pendant 1.25 x 1.25 in.) Gemstones may vary in color, size or shape. 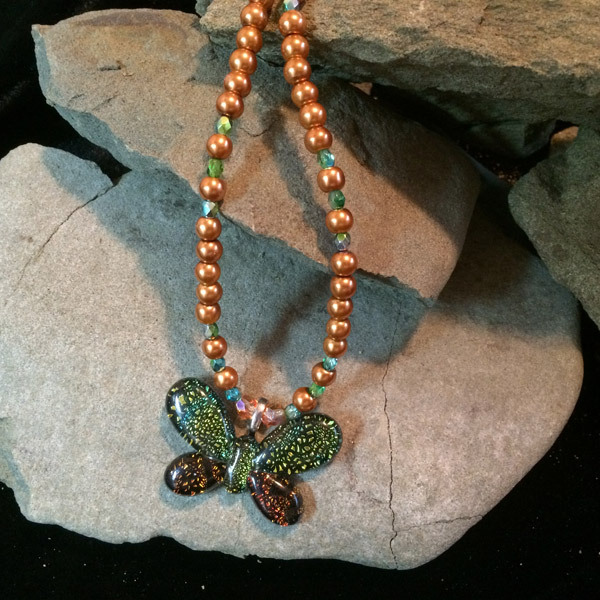 Gold glass pearl, multi-colored Swarovski crystal beads with glass multi-colored butterfly pendant necklace (necklace length 16.8 in.) Gemstones may vary in color, size or shape. 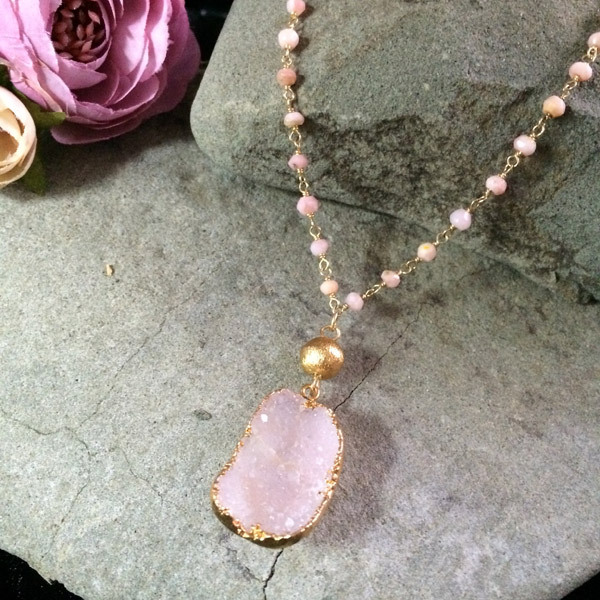 Pink Peruvian Opal beads with a gold karat accent bead and druzy Rose Quartz dipped in gold fill (pendant 1 in. x 0.6 in.) necklace (chain 15.5 in.) Gemstones may vary in color, size or shape. 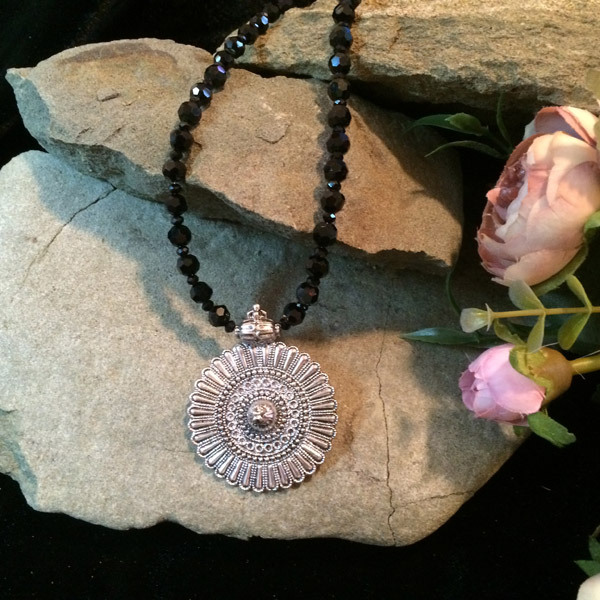 Black Chinese crystal bicone beads necklace with silver colored pendant (necklace length 17 in., pendant 1.5 in. diameter) Gemstones may vary in color, size or shape.